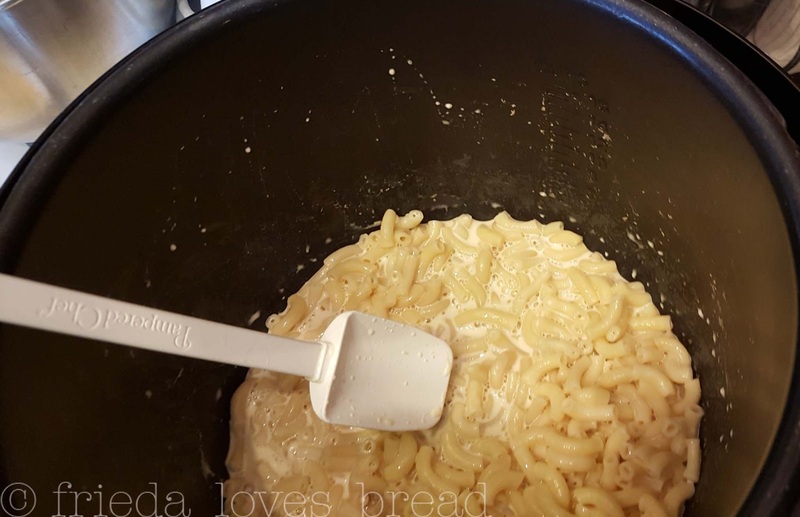 Frieda Loves Bread: 5 Minute Homestyle Mac N Cheese? 0 5 Minute Homestyle Mac N Cheese? Hot, cheesy goodness with a buttered bread crumb topping. Having owned a pressure cooker for several years, it has only been in the last couple of years that I have expanded my repertoire of recipes using my Cuisinart electric pressure cooker. Now, I own an Instant Pot pressure cooker. Yep! Electric pressure cookers are a really cool kitchen tool! I have made veggies, meats, soups, and even *gasp* eggs & DESSERT using a pressure cooker, and recipes for macaroni and cheese have been on my mind. Really? Can you cook pasta in a pressure cooker? The answer is YES. I have used Country Pasta, a thick, homestyle egg noodle that is superb in my Creamy Chicken Noodle soup. These noodles typically take 18-20 minutes to cook, but using a pressure cooker, they only take 6 minutes! Cooking pasta on the stove top only takes about 10-12 minutes of cooking time, so how does the pressure cooker stand up? My son made a Mac N Cheese recipe from scratch and told me it took 45 minutes, from start to finish. Let's see if this recipe can cut our time, yet still retain its cheesy flavor. When I make a recipe for the first time, I halve it if possible. When you use your pressure cooker, you need to have at least 1 cup of liquid in it, or it won't come up to pressure. The electric pressure cooker will automatically turn off if you have too much liquid or not enough in it. Cool, huh? Watch the video or read along. I promise you won't be disappointed! Dry macaroni and water go straight into the pot. Add salt and dry mustard powder for seasonings. Yes, mustard powder sounds weird, but trust me, it works. 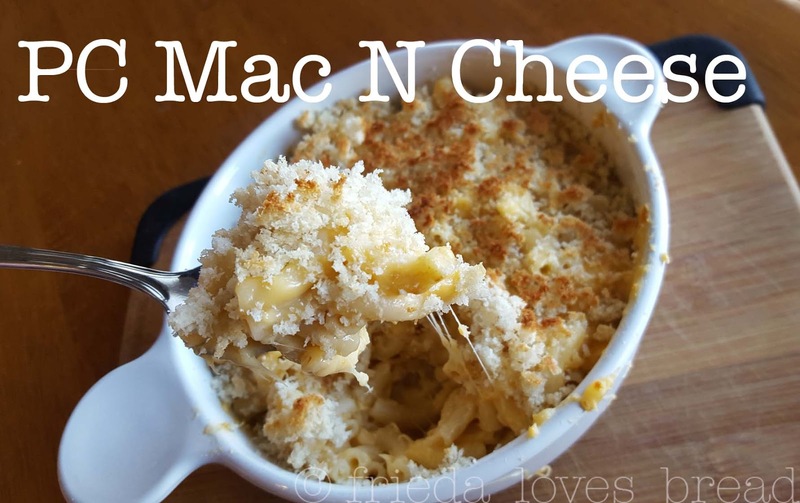 Doesn't overpower the dish and adds a depth to the mac n cheese. Cover, lock, and align the pressure gauge with the dots. Set pressure to HIGH and the timer for 5 minutes. If you like your noodles more al dente, choose 4 minutes. It took 4 minutes to bring to pressure. At the 5 minute mark, QUICK release (in short spurts) the gauge and let all the steam release, about 1 minute. **NOTE: Some brands of pasta will foam and when you do a quick release, it may SPEW out of the release valve, spraying noodle/water everywhere. You can add 1 tablespoon of oil to your mac/water before cooking to reduce foaming issues. Also, do the Quick Release in short, quick spurts. That will help. Wow. The noodles absorbed all the liquid and they were perfect. Al dente. Add evaporated milk to your pasta. Evaporated milk has about 60% off the water removed, resulting in a creamy style milk. Stir and watch till the milk begins to thicken, about 2-3 minutes. I used a combo of Cheddar/Jack. If you want your MacNCheese to be super creamy, use an American style cheese. *Do not use pre-shredded cheese. 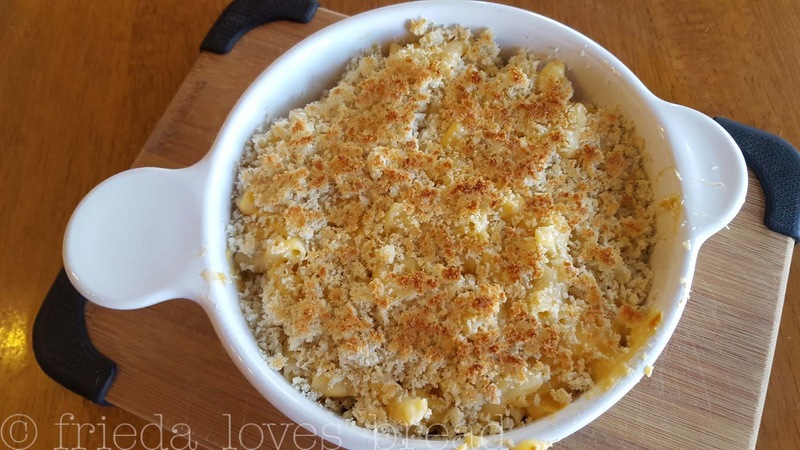 It is coated with potato starch that will make your mac n cheese grainy and gritty. **NOTE: Your mac N cheese may appear soupy at first, but after stirring for a minute or two, it will thicken. You can turn on your browning/sauté setting, but stir constantly to avoid burning or scorching the bottom of the pan. 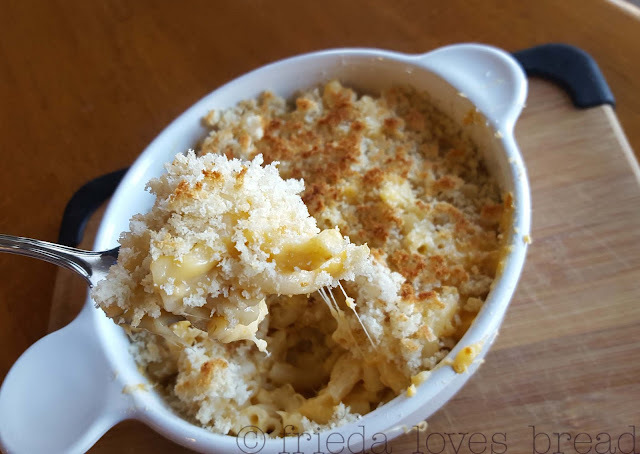 Growing up, our Mac N Cheese had bread crumbs on top. Transfer your Mac N Cheese to an oven safe dish and liberally sprinkle bread crumbs on top. Kitchen Tip: I save the crusts from bread and freeze them. When I need bread crumbs, I break up a couple of crusts into a food processor and pulse till I see fine crumbs. Want an extra crispy topping? Use Panko bread crumbs, tossed with melted butter. Put under an oven broiler for 2-3 minutes. Again, DO NOT WALK AWAY.... bread browns quickly, depending how far away it is from the broiler. From start to finish, I had homestyle Mac N Cheese in less than 15 minutes. Sweet, huh? No boil-over on the stove, no soggy noodles, and only one pan to clean up. Well, two...if you include the bowl I ate it in. This tastes SO much better than the blue box! Creamy, cheesy, macaroni & cheese can be made in your pressure cooker, start to finish, in 15 minutes! Top if off with buttered panko crumbs for a crunchy topping. 1. 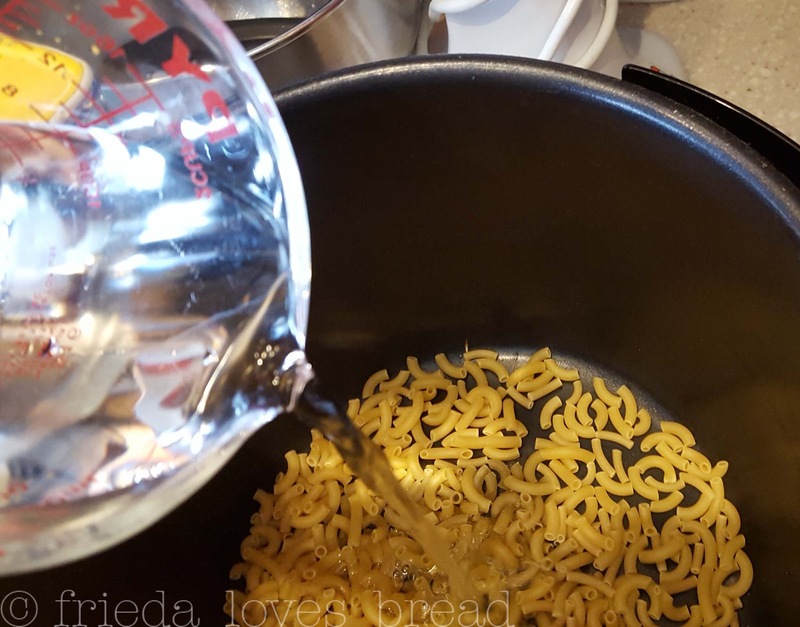 Pour dry macaroni into the pressure cooker.2. Pour water over the dry macaroni.3. Add salt, cooking oil, dry mustard and cayenne pepper. Stir well.4. Close lid, lock, & close the pressure valve.5. Select HIGH pressure and set the time for 5 minutes. (Choose 4 minutes for al dente pasta).6. At the end of cooking time, use a Controlled Quick Release by opening the pressure valve in short spurts until you can open the pressure valve all the way without any foaming. 7. Stir the pasta to break it up. Pour in evaporated milk. Stir in the cheese, a handful at a time, until melted.8. If sauce looks thin, use the Brown/Saute setting and stir constantly until thickened.9. If desired, put macaroni & cheese into an oven safe dish. Mix bread crumbs and melted butter. Sprinkle mixture on top of pasta. Broil in oven 6-8" from broiler for 2-3 minutes until golden brown and toasty. NOTE: Recipe can be cut in half, keep the same cook time.